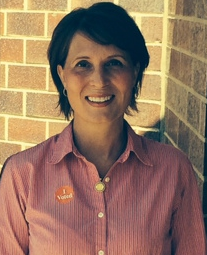 Cara Schulz, past PNC co-editor, has been a door knocking candidate for the Burnsville City Council the past year. After qualifying in the primary to oppose the two incumbents up for election, she has risen steadily in the local polls.October 23rd an incumbent supporter posted a letter to the “Sun” Paper editor (also check the comments) titled “intriguing information on cara schulz”. I have to wonder what the “intrigue” was? 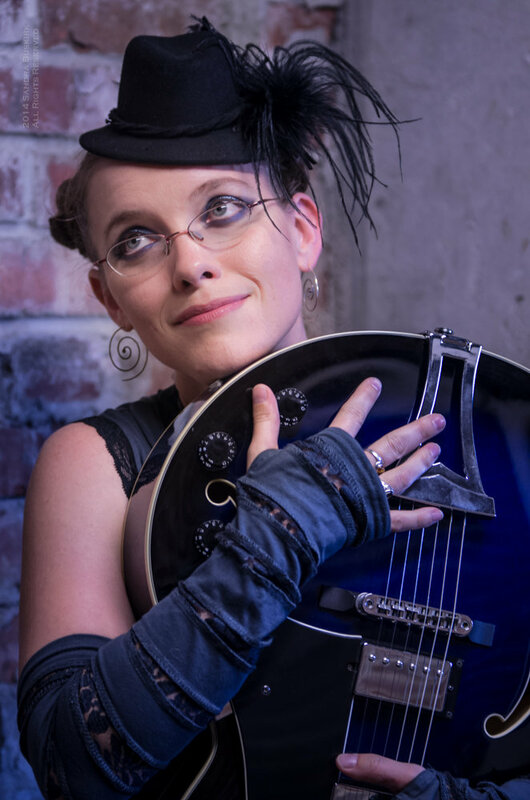 Twin Cities News Talk featured a radio interview with Cara discussing the matter and her candidacy: starts at Around the 23:30 mark and Part 2 here. After her interview ended one of the radio how hosts tried to diminish the significance of religion being brought up in the campaign as not rising to the level of bigotry. Bigotry isn’t measured by the level of hate speech it includes. For a candidate’s supporter to bring religion up in this context is at best poor taste. When an incumbent then forwards and refuse to denounce such a statement, it indicates some fear and worry over the success of Cara’s door knocking campaign regarding the issues. Let’s hope it stimulates voter turnout on the 4th! And Wherever You Live. Get Out and Vote Tuesday! Tony Mierzwicki is one of three national guests appearing at Sacred Harvest Festival (SHF) beginning Monday, August 4th near Albert Lea, MN. 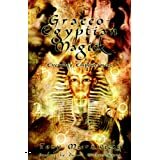 Tony is the author of “Graeco-Egyptian Magick: Everyday Empowerment” and was also a guest of SHF in 2008. 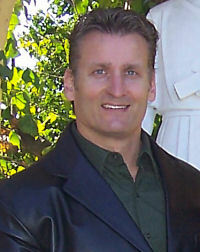 Tony is from Austalia but spends much of his time writing and lecturing in Southern California. I talked to him by phone. Your expertise is in Greek Religion, what have you been up to lately? I have a book coming out in December called , “Hellenismos: Practicing Greek Polytheism Today” . It is a book that reconstructs the practice of Greek religion and updates it to the current day. It is the first book to come out from a main stream publishing company. Every other book has either come out as an academic text or has been self published. This will be a practical text published with Llewellyn. I am a student of Greek religion and I am trying to make it more accessible for those people who are interested. There does seem to be a fair amount of interest in Greek religion at the moment. There are all sorts of Hollywood movies coming out, like Herakles and about other figures of Greek mythology. There would be people out there wondering how the Greeks venerated their Gods. This book will allow people to venerate the gods in a spirit of how the ancient Greek went about the process. There are a number of things that the Greeks did that we cannot do. We are not going to bring back public animal sacrifice, or slavery, or the subjugation of women. Every religion modifies and changes as time goes on. What I am trying to do is look at ancient Greek religion and come up with my best guess of what it would look like today if it had continued since ancient times. That is the spirit behind the book. This is based on my own experience, but I also lurk on many Greek based electronic forums to see how other people practice Greek religion, and the issues they are having. There are a number of misconceptions that people have, and I have tried to address those issues. The book is heavily based on source texts, with over 400 footnotes that people can refer to as my primary and secondary sources. I look at the book as “factual” but different folks looking at the same data and material will look to other directions or disagree with the practice outline. Is Greek reconstruction a growing part of the Pagan movement? It is a slowly growing part of the Pagan community . People who are drawn to the Greek religion tend to be very scholarly. They tend to consult original texts and get very passionate in their interpretations. There are many intelligent people practicing Greek polytheism. There are some people who believe you go through the motions, performing rituals perfectly, but do not expect any personal interaction with the gods. Others believe you it is all about a personal interaction with the gods. That is my belief. Unless you can feel the presence of the gods you are not really getting the most out of your practice. The Greeks did not have a word for religion. In this day and age we tend to think of religion and secular life as two separate things. We go about our daily lives and may get involved in some religious practice occasionally. Christians may go to church on Sunday, but the rest of the week they are indistinguishable from the rest of the community. 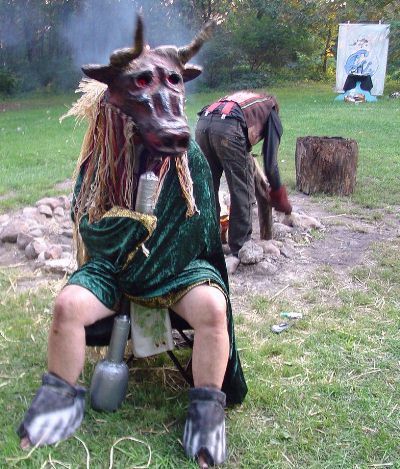 Pagans may venerate their gods on certain days, full moons or the eight Sabbats, depending on what they are into. For the Greeks, venerating the gods was something they did everyday. They would not think of beginning any venture unless they called on the gods first. The practice of Greek religion was integrated seamlessly into everyday life. We think of religion as being separate, but then it was considered a crime to disbelieve in the gods, or be an atheist. Everyone went to temples constantly and engaged in various sacrifices. There were particular rituals that took place on a city level. Household performed their own rituals, Guilds and trade groups performed their rituals. They were all varied and different. The principles remained the same but the nuts and bolts of how they did ritual varied. The description of how Greeks practiced religion in all aspects of life sounds a lot like much indigenous practice? One of the early theories of how religion developed is that it started off as a shamanic practice that became more institutionalized and then turned into religion. If you look at many indigenous tribes their gods have a very real presence. The gods are around them constantly and interact with them frequently. The tribes depend on the gods for everything that is good in their lives. The gods provide sunshine and rain and produce a bountiful harvest for them. They are constantly working with the gods, there is no idea of separation from the divine. This is something you also see with the Greeks. What are you bringing to Sacred Harvest Festival next week? The heart of my presentation is a series of three workshops that begins with The Practice of Ancient Greek Religion Today. The second is on Greek Nature Deities and Gaia Consciousness . It is about the interconnectedness of us and everything around us. I wanted to bring in the idea of Gaia consciousnessbecause it is a thoroughly modern concept that talks about how everything is interconnected and integrated. The third workshop pushes that further and talks about how all of this impacts our health. The things we do in everyday life have an impact on ourselves and everything around us. One of the problems in modern society is that many see themselves as separate from the world. They think they can exploit the riches of the world and not suffer the consequences. I will be pushing the idea of working in harmony with the world, working with sustainable faming practices, sustainable energy and the like. I will talk about how this then also impacts on our health. The workshops form a cohesive series together and I am very grateful to be able to offer these three workshops as a series. Will this be of interest to those of many different paths? Absolutely, I will try to talk in generalities about these topics, but when it comes down to it one of the things that most Pagans have in common is a deep connection with the planet, the world around them. Regardless of the gods that they may feel closest to, most of us realize that we are integrally connected with the planet and that our decisions effect everything that happens around us – the butterfly effect. This proposes that every little thing that we do, can wind up having a much larger effect around us. The more people become responsible in how they act, the better things will turn out in the long term for us. A precipice is approaching where we start running out of fossil fuels, and pollution is so bad we can’t breathe the air or drink the water. My fourth workshop will be about ancient curses and bindings. This will be an overview from an academic sort of viewpoint. It will give people an idea about what kind of activities took place so they can see the darker underbelly of our community from the vantage point of the past. The last workshop will be about the god Set. For a lot of people Set is thought of as an evil god, a prototype of the Christian devil. He has been demonized over the years. When one people conquers another they demonize the gods of the other. In this case Set was a very significant god in ancient times. There are various texts which talk about his importance and describe him as a benevolent deity. Once the worship of Osiris came to the ascendancy, Set was demonized. I hope to present some balance and provide another way of looking at him. He is a powerful god, but not really evil. I want to share what I have found in my research about him. When were you last a guest at Sacred Harvest Festival? This was in 2008 and had a fantastic time! I was made to feel very welcome. One of the things I really liked was there wer activities for all ages. There were many children and there wer activities for kids, teens, and adults. There was a strong family environment for people who attended with their kids. It was nice to have a festival where you could actually sleep!. Many stayed up late but it was around campfires, singing, enjoying stories and a drink or two together. The whole event had a very family kind of feel to it and I felt blessed to be there. I feel blessed to be coming out yet again! I firmly believe that whatever path you choose has to be the path that resonates with you, the path that feels right for you. Unless you have found a specific path you absolutely don’t want to deviate from, it is always good to see what other people are doing and perhaps learn little things that you can integrate into your own practice from them. I am simply bringing things I have learned in the past couple of decades in the hopes that attendees can get something out of them to integrate into their own practice. There may be people interested enough in what I am doing to engage in the practice of Greek polytheism or perhaps Graeco-Egyptian magick – the subject of my previous book. What I have found from running workshops based on my first book is that very few people will choose to practice exactly as it is presented in the book. People tend to pick out bits and pieces from it and integrate it into what they are already doing. That is fine because it is all about finding things which resonate with you. When I was starting out I was trying to learn everything I could from those around me. There were things that would just feel right, and others that didn’t quite feel right. This approach ensures that eventually you end up navigating your own path. There are so many gifted speakers this year sharing their experiences and knowledge. That is what it is all about, learning from each other and sharing our experiences. We can then all pass what we have learned and pay it forward. I can’t help those who helped me in the past but I can help those who come after me, and I encourage others to do the same. Tony will join Yeshe Rabbit and Crystal Blanton for a week of workshops and rituals at Sacred Harvest Festival, August 4-10th near Albert Lea, Mn. Advance registration closes this Thursday, July 31st, but is available for a week, weekend, or day pass at the festival gate.